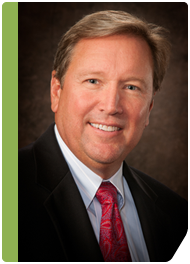 Mr. Carlson joined Poplar Healthcare in 2011 and serves as the company’s Chief Development Officer. Mr. Carlson has over 20 years of industry experience and has extensive expertise in general management, product development, marketing and sales management. Previously, Mr. Carlson served as Vice President of Business Development and Vice President of Sales and Marketing for NeoGenomics Laboratories, a cancer genetics specialty laboratory. Prior to NeoGenomics, Mr. Carlson was President and CEO of Calgenex Corporation, a nutraceutical and personal care products company developing products for the cardiovascular market. Mr. Carlson began his career at DIANON Systems where he held senior positions in sales, marketing, business development and research and development. Mr. Carlson is co-inventor on five U.S. patents involving percent free-PSA and the diagnosis of prostate cancer and four pending patents around various drug compositions. He has authored several scientific papers in the areas of oncology, urology and pathology. He holds a B.S. degree in Kinesiology from the University of California, Los Angeles.